FRANKFURT -- Volkswagen Group warned investors about a tough year ahead as the 12-brand car and truck group reported preliminary annual results that were weighed down by currency headwinds and supply bottlenecks caused by new emissions-testing rules. 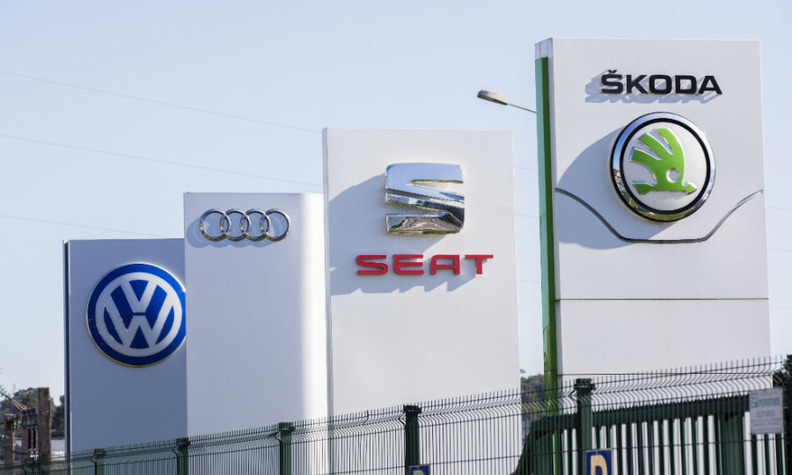 VW suffered from an increase in inventories at its Audi and VW brands after a new emissions testing procedure, known as WLTP, took effect in Europe in September and delayed road certification for many of its vehicles. Volkswagen, which is still battling to recover from a 2015 scandal over emissions test cheating, reiterated it wanted to achieve an operating return on sales of between 6.5 percent and 7.5 percent for the passenger cars division and the group this year, a step welcomed by analysts. "The results are pretty solid, and it's positive that they stick to their margin forecast especially when contrasted with rivals like Daimler which was more cautious," said Nord LB analyst Frank Schwope, who has a buy rating on the stock. VW would be hit by potential new tariffs on cars imported to the U.S. 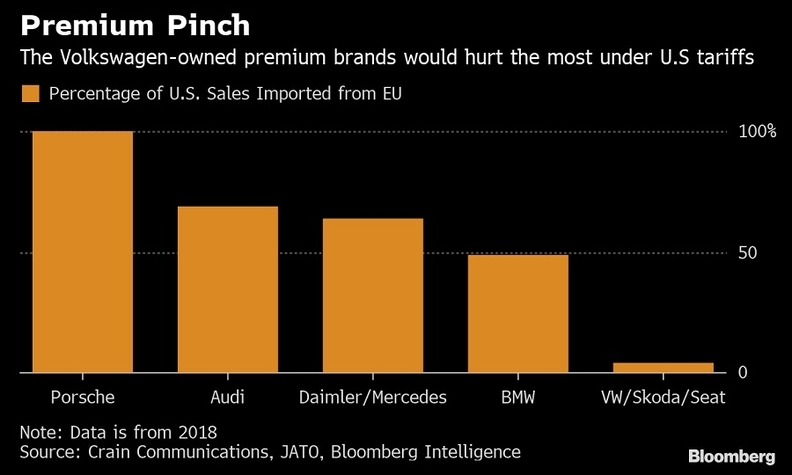 Among German automakers, VW’s two largest earnings contributors Porsche and Audi are most exposed should U.S. President Donald Trump impose a 25 percent tariff. In a worst-case scenario, VW could suffer a profit hit of as much as about 2.5 billion euros ($2.8 billion), Diess has said. The company was committed to invest more in the U.S. and would do "all we can" to avoid import duties, he said. Diess, who has been at the helm of VW for almost a year, has pushed to accelerate efforts to rein in bloated costs and boost efficiency. The biggest building block of his strategy is a planned initial public offering of VW’s heavy trucks unit, named Traton and valued at as much as 25 billion euros, according to Evercore ISI. The IPO, which could happen as early as April, would help generate fresh funds for Traton’s expansion outside Europe, where it lags behind global leaders Daimler and Volvo. VW is due to release more detailed full-year earnings on March 12. Traton will release earnings on Monday.